In Paramaribo you’ll find lots of decent hotel options. Suriname is the only Dutch speaking country in South America. Suriname gained independence from Holland in 1975. In fact when it was under Dutch control it was called Dutch Guiana. 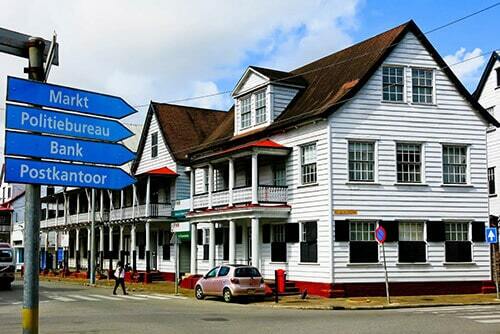 The picture above could be somewhere in Holland but it’s downtown Paramaribo, a UNESCO world heritage site. 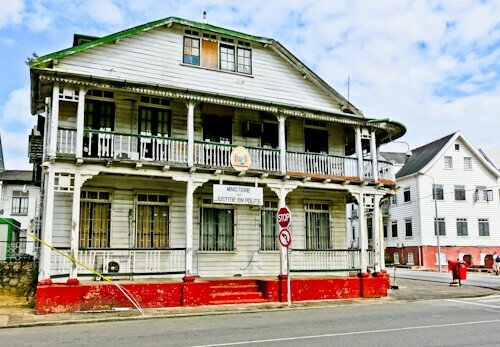 If you’re a fan of Dutch colonial building photography then you’ll love walking around the inner city of Paramaribo. A little bit of history as to why Suriname is Dutch. Paramaribo was originally founded by the French in the 17th century, they built a fort. It wasn’t long until the British took over this fort and called it Fort Willoughby. However, the Dutch then took over and remained in Suriname 3 centuries until 1975. One of the Dutch ships used to defeat the British was called Zeelandia. As a result, the Dutch renamed the fort, Fort Zeelandia, this name remains today. As well as visiting the fort, you can learn about the history in Surinaams museum. 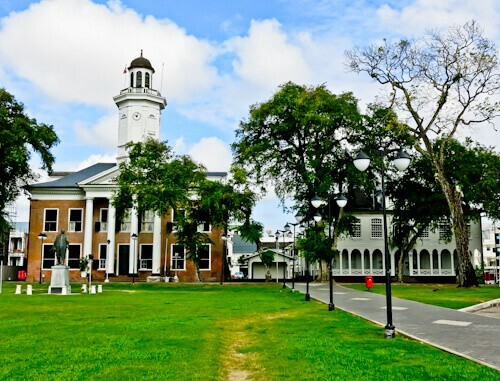 Independence Square is the main square of the Paramaribo. Under Dutch rule it was originally called Orange Square. 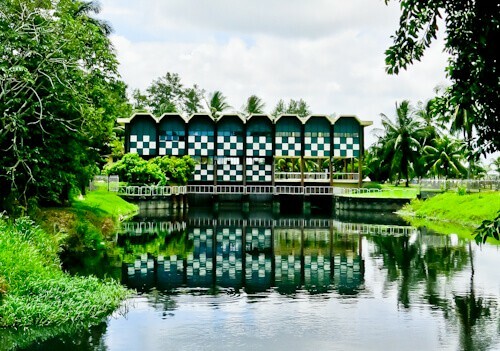 There are several of the things to do in Paramaribo Suriname located around the square. Points of interest you’ll see on the square are the Presidential Palace as well as several Dutch colonial buildings. Another noteworthy point of interest in the square is Vlaggen Plein which features lots of flags. It’s worth visiting the Garden of Palms as you are guaranteed to see Capuchin monkeys. Similarly, you’re guaranteed to see them on nearby Devil’s Island, French Guiana. As well as monkeys, there are tropical birds but you must be quiet and patient to see these. Furthermore, the park is named after the huge palm trees which give the whole area shade from the Paramaribo heat. As a result, Garden of Palms is one of the things to do in Paramaribo Suriname when you need to relax and escape the sun. The Saint Peter and Paul Cathedral is the largest wooden structure in the Americas. There is a similar wooden structure in neighboring Georgetown but it’s slightly smaller. Something else interesting about this church are the colors. 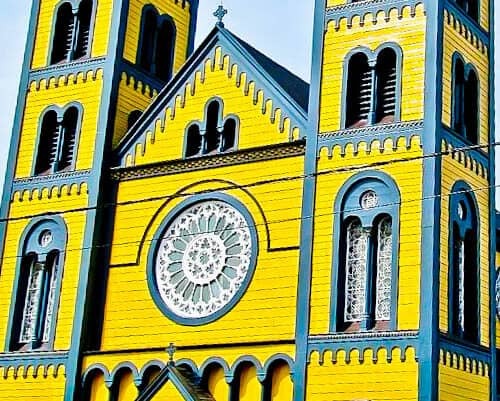 It is in fact blue and yellow, making it an Instagram spot of Paramaribo. Recently there have been structural issues and termite problems with the church. As a result of it being part of the UNESCO center of Paramaribo, work is being done to maintain this unique wooden church. A grand mosque was the last thing I expected to see in a former Dutch colony. However, a wooden mosque was built by the Muslim population of Suriname in 1932 An interesting fact about the original mosque is that boxing legend Muhammad Ali visited it in 1979. 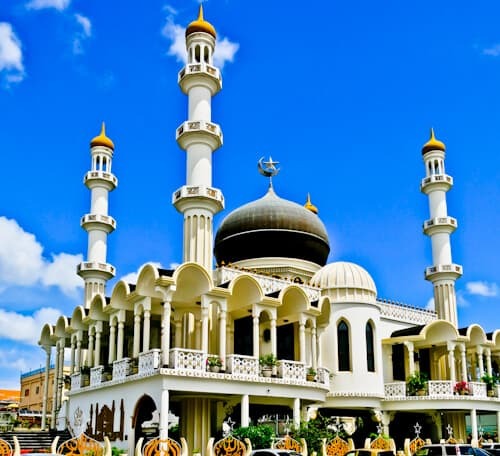 The mosque you see today however was built in 1984 and is one of the most beautiful buildings in Paramaribo. Adjacent to the mosque is Neveh Shalom Synagogue, an example of all religions living in peace. 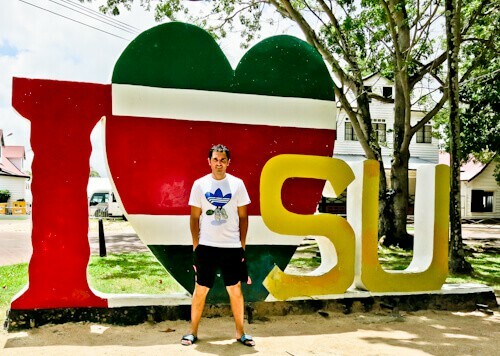 one of the most important things to do in Paramaribo Suriname is take your picture with the I love Suriname sign. As a result you’ll have a picture memory of your visit. 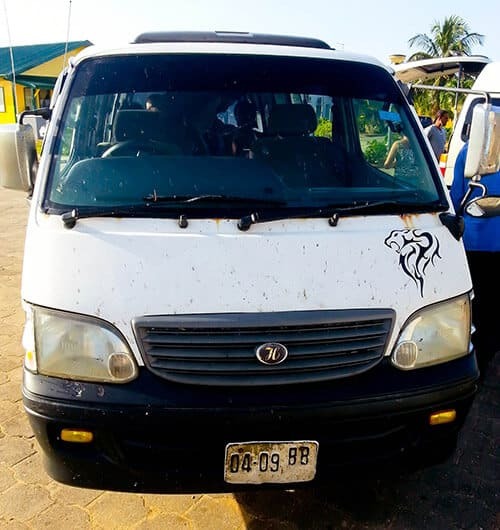 A trusted company to take tours with in Suriname is Waterproof Suriname. With this tour company you can visit all the things to do in Paramaribo Suriname. 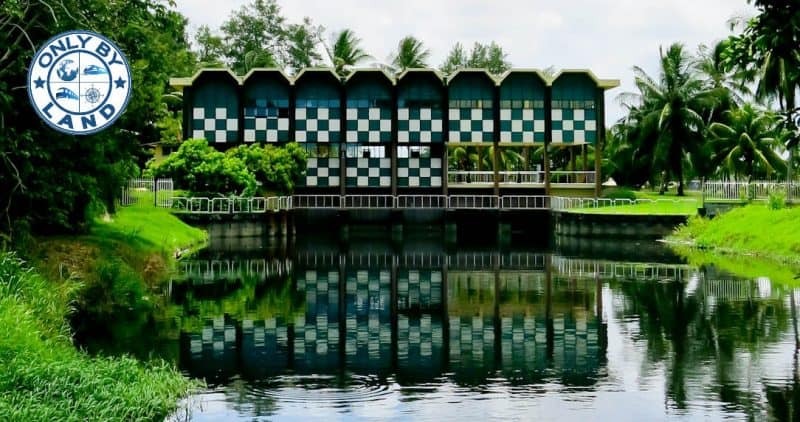 More importantly, they also offer day and multi day trips to the interior of Suriname including the Brokopondo reservoir as well as the central Suriname nature reserve. The nightlife is very lively in Paramaribo so I’d look for a hotel close to bars to help you with a safe night out. 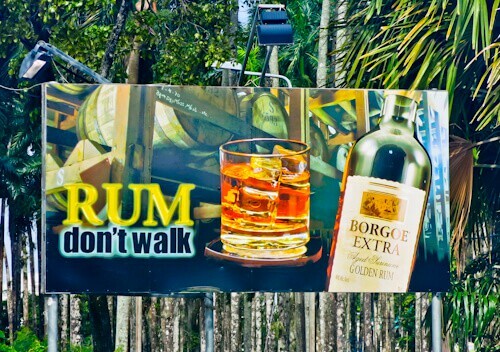 The nightlife and the great tours make Paramaribo the perfect stopover whilst traveling through the 3 Guiana’s. 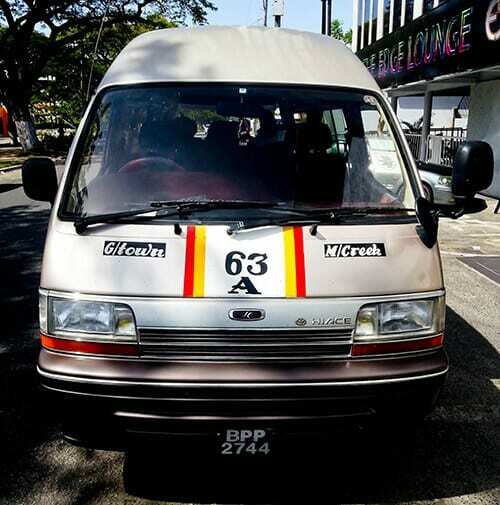 Like in Kourou, French Guiana, I organised the hotel to call the share taxi for Georgetown. The share taxi again came to the hotel to pick me up early in the morning. The taxi took me to the border, where I was stamped out of Suriname. I then took the boat over to Guyana, was stamped into Guyana and found my share taxi to Georgetown. This is easy to do, just follow, or ask the others in your share taxi. The other passengers in the taxi were very friendly and offered me the front seat of this one. In Guyana they speak English, I guess it takes a bit of time to get used to the accent though!